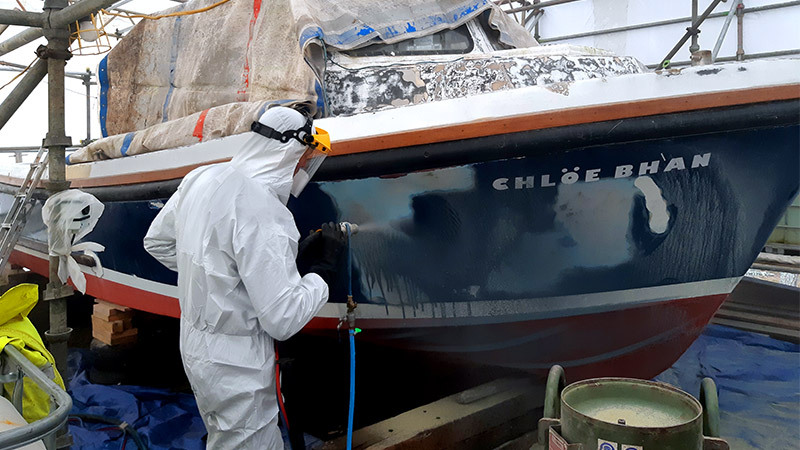 Highland Blast are a Mobile abrasive blasting and coating service that comes to you, no matter where you are in Scotland. Saving you the time, stress and cost of transportation. Offering free consultation, you can be assured which processes are suitable for your individual project. With no hidden charges & covering the Scottish Highland, Islands and beyond we are the first choice for Industrial, marine, commercial & domestic customers throughout Scotland. We have recently invested in state of the art industrial soda blasting equipment perfect for Fire & Smoke damage removal, Marine work, and large or small scale varnish / stain removal. "Highly recommended did a couple of Jobs for me and first class end result no mucking about just got on with the job."